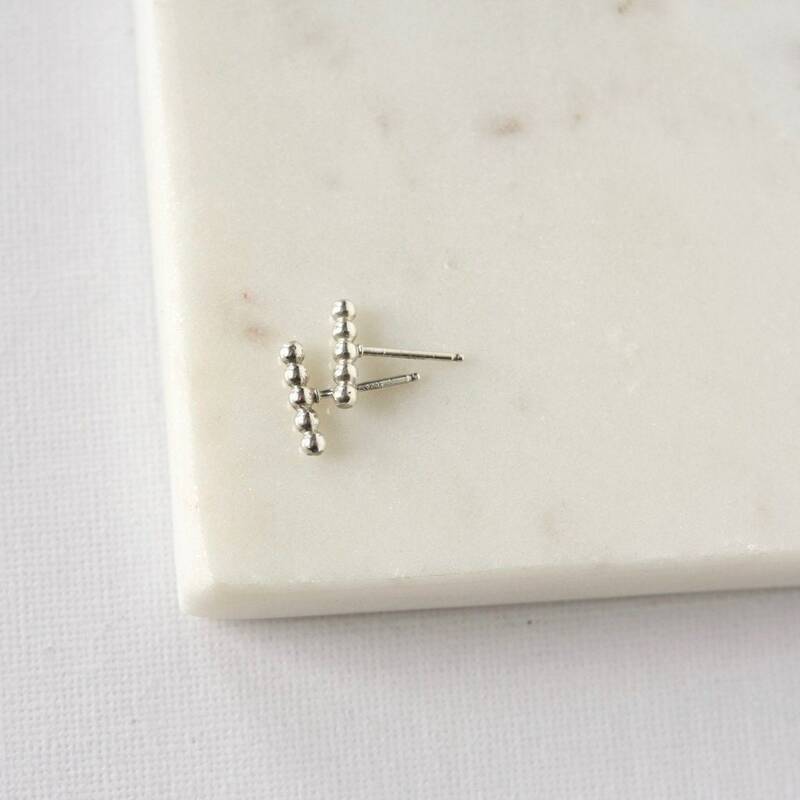 Modern and petite, these tiny bar earrings go with everything. 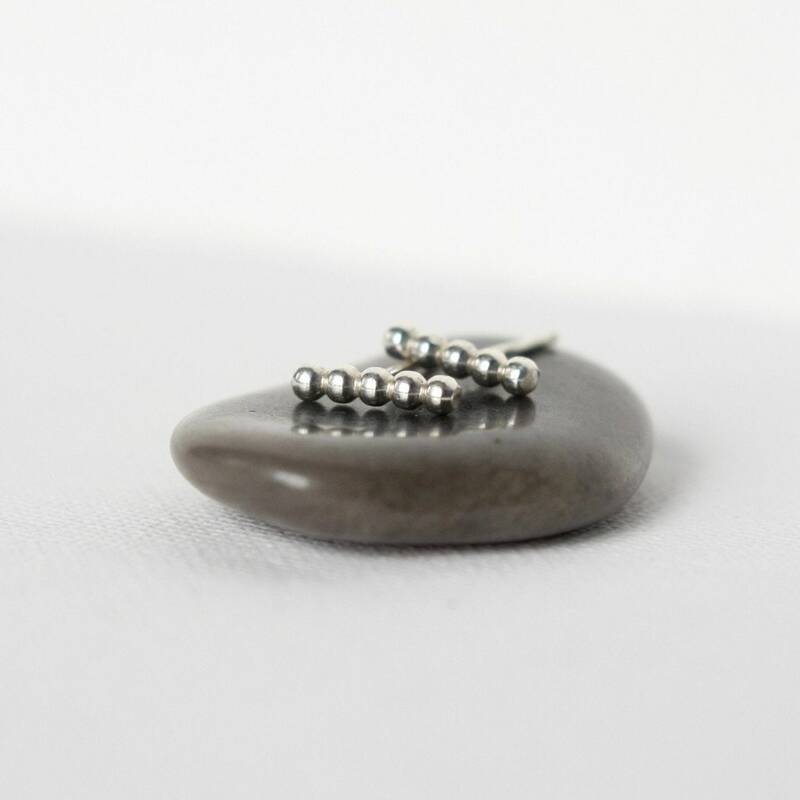 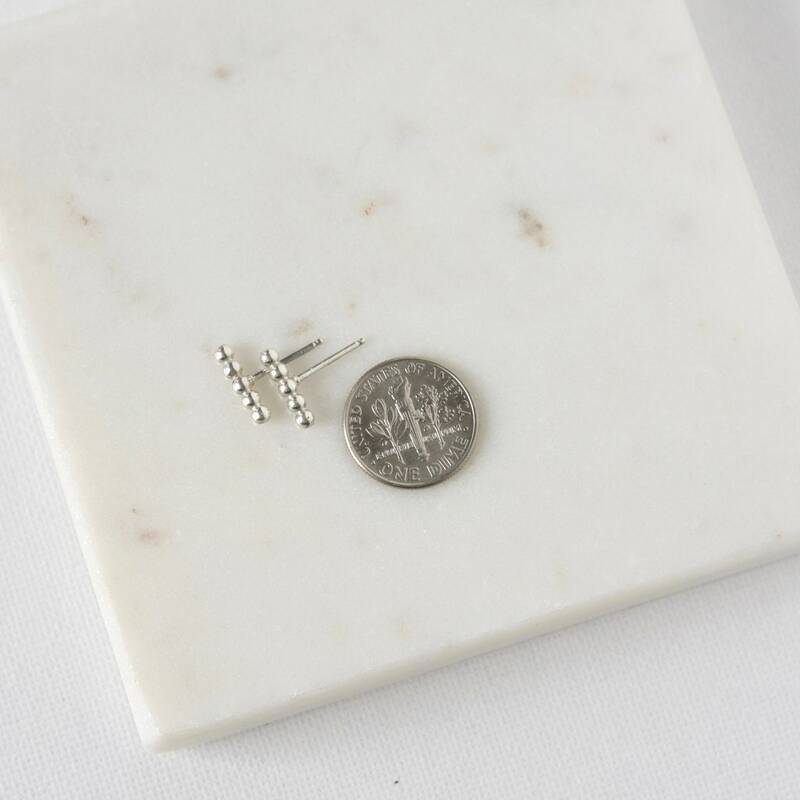 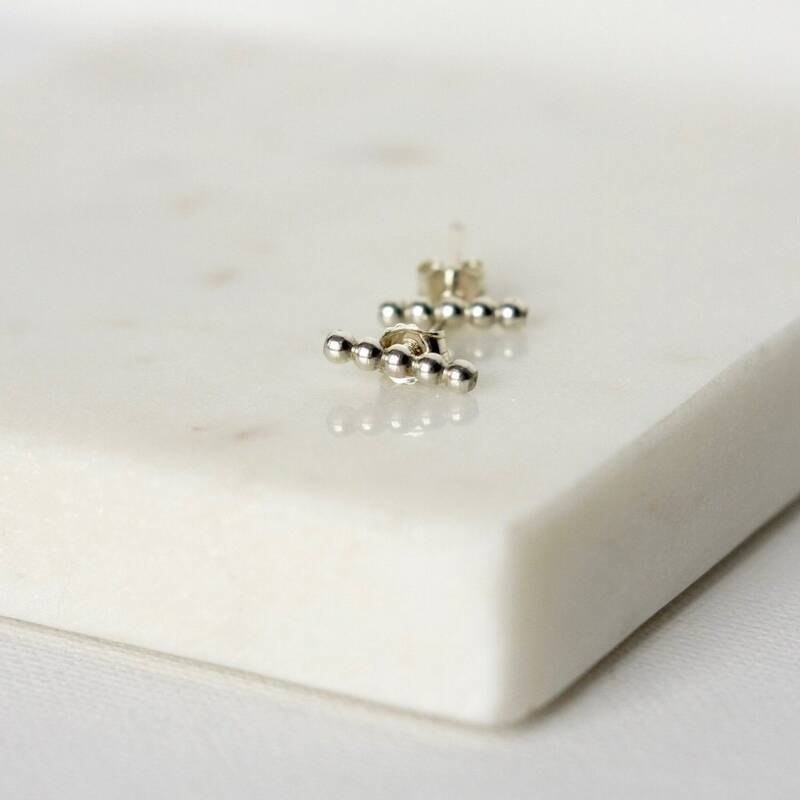 They are made with sterling silver beaded wire and the posts have been soldered in the middle so you can wear them vertically or horizontally. 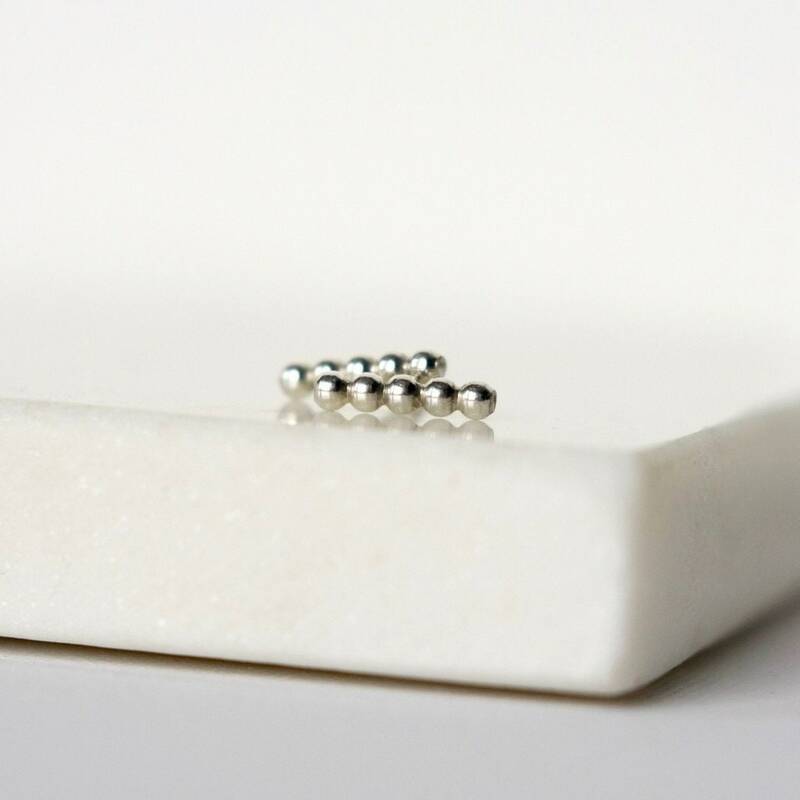 They measure 10mm and the simple design works well with other earrings if you have multiple piercings.